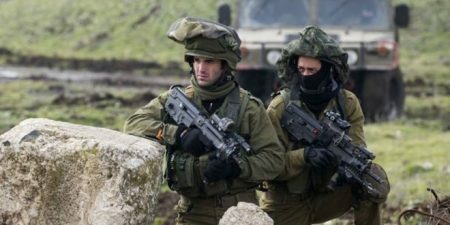 The Israeli army, on Saturday evening, slapped a total closure on the occupied West Bank and the Gaza Strip, which is to last until Monday night, ahead of the Jewish holiday of “Sukkot”. Tens of thousands of Palestinian workers will not be able to enter or exit the occupied territories as a result of the measure, which will be in place from midnight on Saturday until midnight on Monday. Similar closures have been placed on the West Bank in the past, during Jewish holidays, particularly Yom Kippur and Passover. Those holidays are often associated, in Palestine, with increased terrorism and break-ins by extremist Israeli settlers at Islamic holy sites, particularly al-Aqsa Mosque. The crossings on the Gaza border have also been closed off for the holiday period, PNN further reports. During such holidays, the occupation army seals off border crossings into Gaza, and partially opens the Karem Abu Salem and Beit Hanoun crossings. Hundreds of fixed and makeshift checkpoints have also been pitched to block Palestinian movement in and out. Sukkot is a week-long Jewish festival, also known as “The Feast of Tabernacles”, which falls shortly after Yom Kippur. Sukkot, in Israel, is a time of vacation – the first and last days are national holidays.